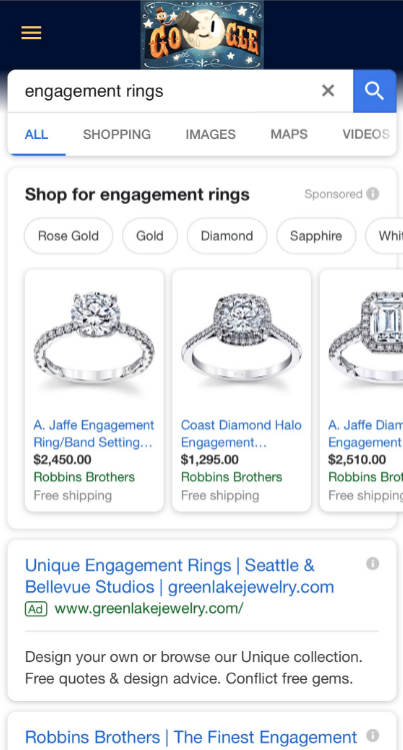 By default, Google’s Product Listing Ads have 10 or less products in their mobile carousels. While we have seen them play with having two carousels, one on top of the other, most product carousels are still fairly limited in the number of products. 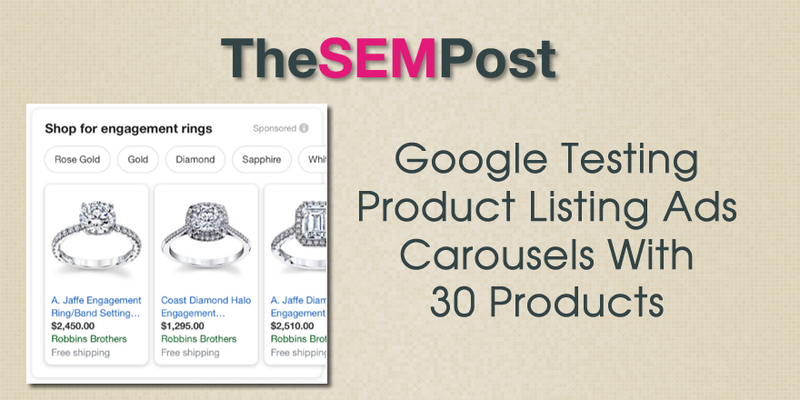 Google is testing a new version of their Product Listing Ads Carousel with 30 products instead of the usual 10 or less. 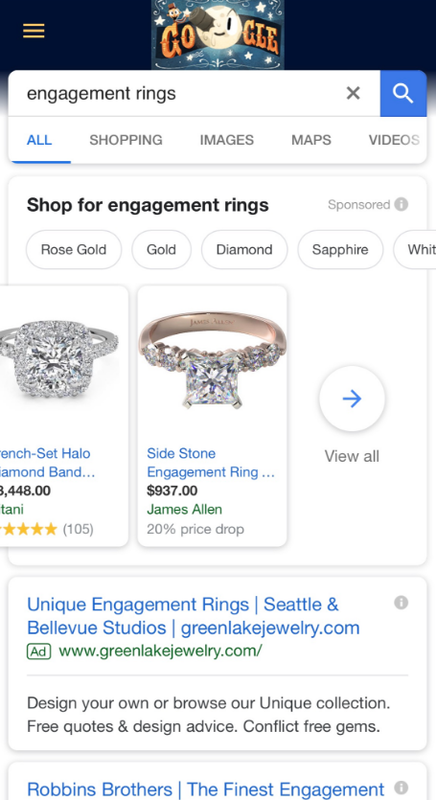 This seems to be a test they are running with specific products that have a higher number of potential product matches, as I was getting the 30 product carousel pretty consistently for this query over a few weeks across browsers, but not for other product queries. So there could be other queries with high product volume that also trigger these super sized PLAs with 30 products. Jennifer Slegg is a longtime speaker and expert in search engine marketing, working in the industry for almost 20 years. When she isn’t sitting at her desk writing and working, she can be found grabbing a latte at her local Starbucks or planning her next trip to Disneyland. She regularly speaks at Pubcon, SMX, State of Search, Brighton SEO and more, and has been presenting at conferences for over a decade.